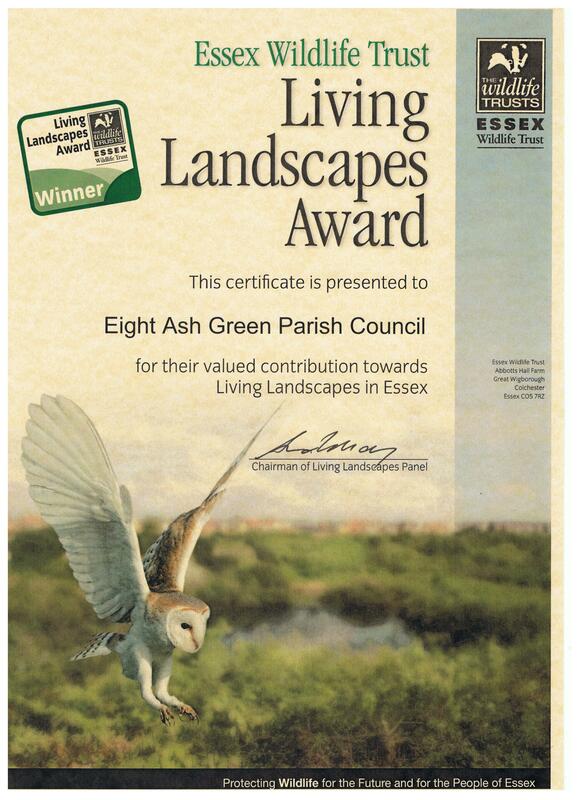 Eight Ash Green Parish Council has been awarded a Living Landscape Award by Essex Wildlife Trust for the work it has done to improve the Heath with the use of volunteers. 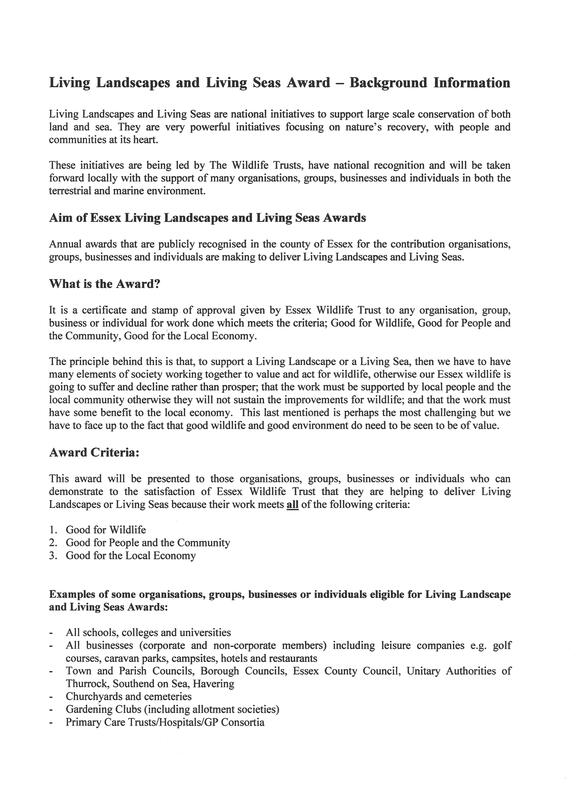 Please see attached the background information and a copy of the Certificate for your interest. The Parish Council would like to express its sincere thanks to all the volunteers who have helped and of course our special thanks go to Keith Winterbourne for all the voluntary work he does to help us ensure we have a Heath to be proud of and can enjoy. Keith is currently arranging more volunteer days in the very near future so please do not hesitate to get in touch if you can help or would like to get involved.